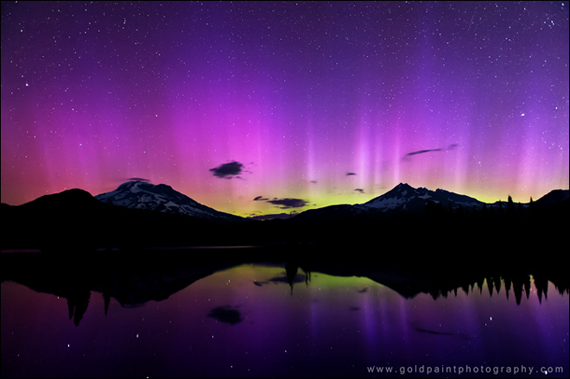 As those of you who follow me on Twitter may know, we had one of these mini adventures Saturday night, when heard there was a solar storm and hopped in the car around 11 PM to drive northwest, away from the urban-ness in search of our beloved lights. Alas, we were back home a little after 1 AM, having seen nothing out of the ordinary aside from a really creepy abandoned house on a gravel road when we took a wrong turn. Thankfully, on Sunday we read that there was going to be another opportunity to see them from our location, this time with an even better chance. So Robbie decided that we were going to go buy a cheap remote for our Canon , set up the tripod on our back porch late that night, aim the camera north, and play around with long exposures. Our goal was not to shoot pretty photographs of the night sky, like in the truly amazing shots above, because this is basically impossible from a porch in an urban area drowning in light pollution. 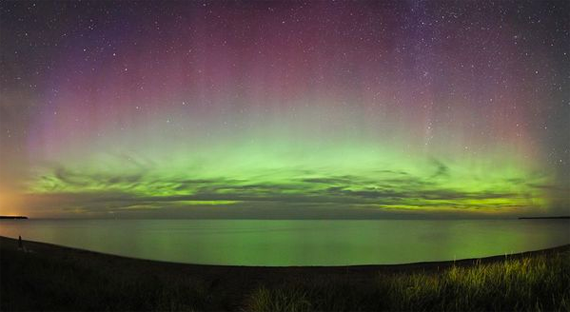 All we hoped for was to maybe pick up a tiny glimpse of the Aurora that our naked eyes alone couldn't see. I'll admit that Robbie was much more committed than me, and hung out on the porch for several hours (I made it for about 45 minutes). We didn't catch the Northern Lights (booooo), but it was a good excuse for us to practice shooting with long exposure, which neither of us had really done before. Because of the excessive amount of ambient light, the photos don't look like much, and most of them are overexposed because we were leaving the shutter open for 20 to 30 seconds in an effort to catch the Aurora. But it was really cool to compare them to the sky we saw with our eyes. It was after midnight, and when we looked up at the sky, we could barely make out any stars, and everything looked quite hazy and very dark. The pictures taken with long exposures, which were able to capture more than the human eye was capable of detecting, showed stars that we couldn't otherwise see, and lightened the sky. We couldn't see the Big Dipper when we looked at the sky, but we were able to see it in the photos. It was actually really fascinating. I'm going to veer slightly off topic for a minute and say that it's almost shocking how much light pollution exists in the Chicago area (and most other major cities, I'm sure). And I'm not just talking about the urban and suburban areas. Even out in the rural places, you could still see the haze of Chicagoland lights all along the horizon. One of the things I miss the most about living in Colorado and Oregon is looking up and seeing a big sky speckled with bright white stars. Most of the time, I like living in a more populated area with an abundance of culture and food and choices at my fingertips. But when I'm in the mood to star gaze, I sure wish I could click my heels three times and wake up in the middle of nowhere. Just for that night. Hopefully we'll be able to take a little camping trip sometime this summer and try the long exposure shots in a darker, more remote place. If we do, I'll be sure to post some photos and tips. 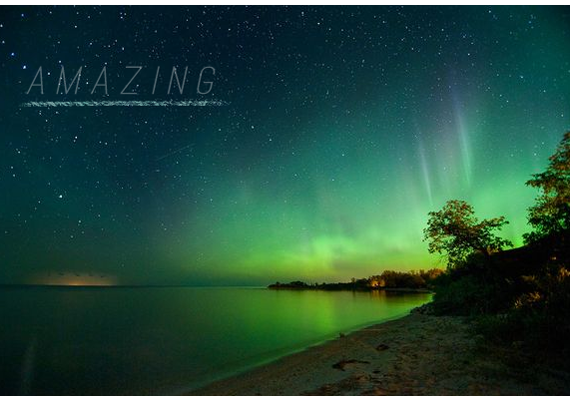 In the meantime, if you're interested in being a fellow Northern Light storm chaser, this site is great for the most up to date information and real time predictions. 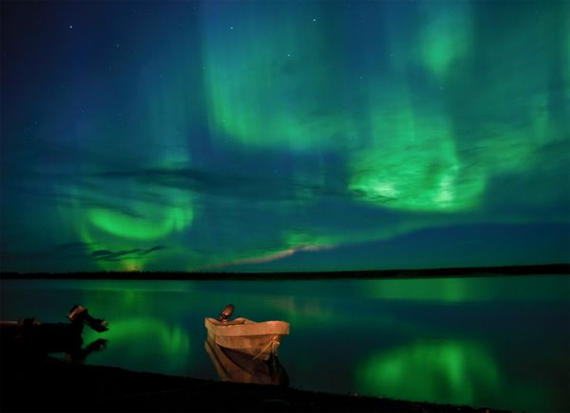 I live in Manitoba and have seen the lights similar to image 1 dancing over the lake while sitting on cold sand around a bonfire. Every glimpse I can get of them is a treasure. yes! please post about long exposure! Such beautiful pictures! When I was kid, I was up every morning at 5am (farm chores, of course lol)...and in the Winter, I saw the Northern Lights almost every morning that a clear sky. Nothing as gorgeous as those! I think the best I've seen were one random summer night. Wow that second pic is my favorite...so amazing! Love the gorgeous colors in the sky. 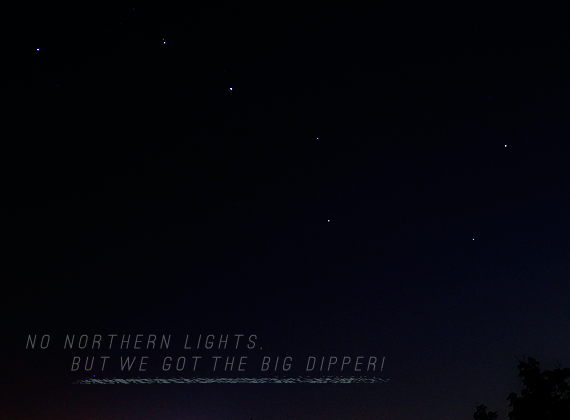 That is cool you captured the big dipper! I love to sit outside and stare at the stars before bed each night. The sky and stars are truly so fascinating. I've never seen the Northern Lights either. I go stargazing every once in a while, but never see anything awesome like those pictures above. 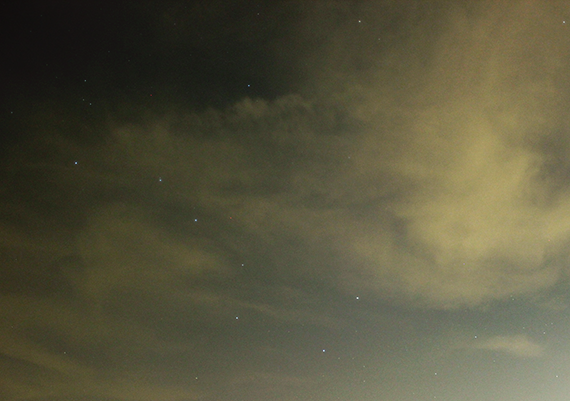 And YEAH about the light pollution. My parents live in southern IL and every once in a while I'm driving back up here after the sun has gone down, and I can see the haze long before I hit the suburbs. 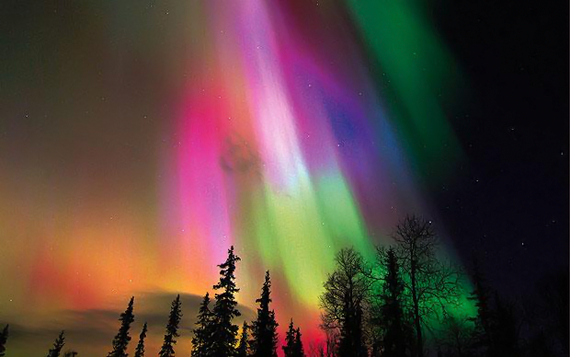 I wish I could teleport myself up north whenever the Northern Lights happen! I can't even imagine it being real and seeing it with my own eyes. Looking at photos I think it looks amazing but a part of me is thinking "there is no way that is real!" Beautiful photos! (Both the ones you shared and the ones you took.) Nighttime picture taking is not something I'm overly familiar with (except for firework pictures) but this post made me want to try some more. I think we're lucky we can see the stars as well as we can here (being so close to the city and all) but I would lovelovelove to go out in the middle of nowhere and star gaze. I never have before, but I just know it would be amazing to see how many stars I'm missing here. this is beautiful. i think it's adorable that you go on dates like that and do things out of the blue...it makes my heart warm... maybe one day i will come see these lights with u in person!! Beautiful video Mary! Thank you so much for sharing it! Those are some really amazing photos! I love living when I can see the stars every night :) They are one of my favorite things ever! 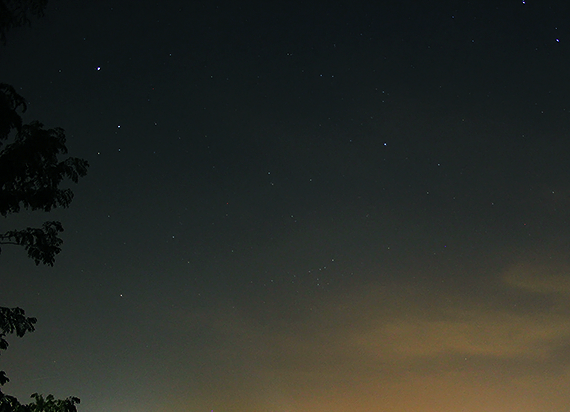 I always try to photogfaph the stars..